Storyville is an award-winning, interactive early literacy and learning center for children ages birth to 5 and their caregivers. Storyville is a child-sized village that includes developmentally appropriate books and activities. Baltimore County Public Library has two Storyville locations including Storyville@Rosedale and Storyville@Woodlawn. 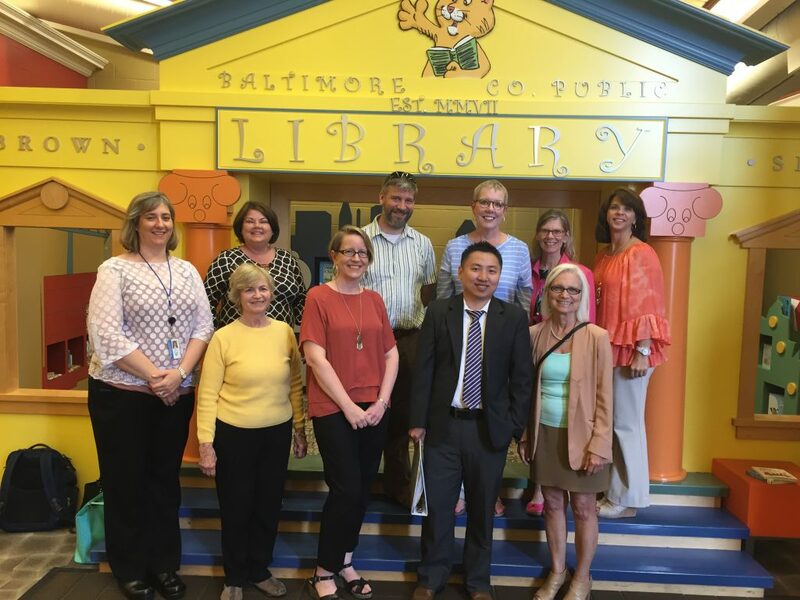 The two projects were funded by Foundation for Baltimore County Public Library to support the library's mission to "mobilize resources that support the library's commitment to a superior public library system where opportunities for literacy, reading enrichment and lifelong learning are available to all." 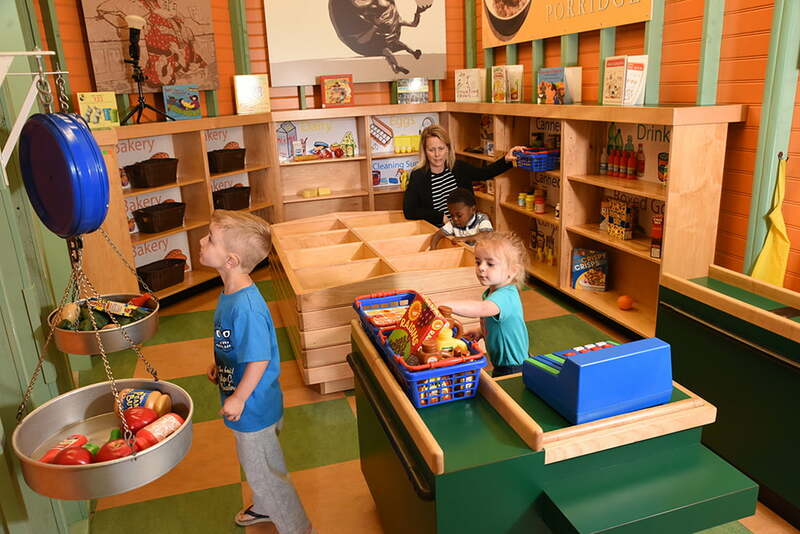 Both early literacy learning centers host seven interactive play stations where infants and preschoolers can explore and grow while engaging in developmentally appropriate activities. Books and activities at each site promote cognitive, motor, language and social skills, depending on the age group. At each Storyville, babies can crawl around in the Baby Garden complete with manipulative toys, textured flowers, mirrors, mobiles, peek-a-boo windows and board books. The walking little ones can explore Toddler Bay@Rosedale or Toddler Woods@Woodlawn. Toddler Bay features a landscape of imaginary water, with a toy boat to rock and lighthouse to visit; while Toddler Woods hosts a canopied forest, complete with a tree house to climb and hollowed log to crawl through. Visitors to Storyville@Woodlawn can pretend to ride or drive the life-size trolley. At both learning centers, older children can play house with props in the home living area, put on a show at the theater, complete with moveable sets and costumes, go shopping in the store or practice building at the construction zone. There are also town libraries stocked with picture books, concept books, picture nonfiction, folk and fairytale books, DVDs, musical CDs, Baby Booster kits and comfortable seating for adults to read with their children. Storyville@Rosedale was the Foundation's most ambitious undertaking since the Foundation’s founding in 1999. This project opened the door in February 2008 for Baltimore County Public Library to provide an especially rich and magical opportunity for preschoolers and adults to participate in emergent literacy activities. Recognizing the success of Storyville@Rosedale, Baltimore County Government provided the majority of the funding to construct Storyville@Woodlawn, which opened in March 2010. The Foundation also contributed funds toward the construction of this newer Storyville on the west side of Baltimore County, and the Foundation continues to raise funds to support ongoing repairs, maintenance and replacement costs of both Storyvilles. Thanks to the support of donors like you, in 2016, the Foundation funded a major "refreshing" of both Storyville locations, which included fresh coats of paint, lighting replacements, portrait holes filled, new play stove and sink in the Woodlawn kitchen area and much more. If you would like to contribute to Foundation for Baltimore County Public Library in support of the Storyville projects, please click here or call the Foundation office at 410-887-6196.